Improve your Mustang alternator performance with this PA Performance premium power wire kit for 170 & 200 amp alternators! If you have upgraded the alternator in your Mustang, or Ford Lightning, to a high output alternator, replace your weak power wire with PA Performance's power wire to gain maximum performance from your alternator! Factory gauge wire is not designed to carry increased amperage loads correctly, thus causing static (noise) interference that will find its way into your radio speakers. Since the factory wiring can not correctly carry the increased amperage, the full power of your alternator is not on tap. 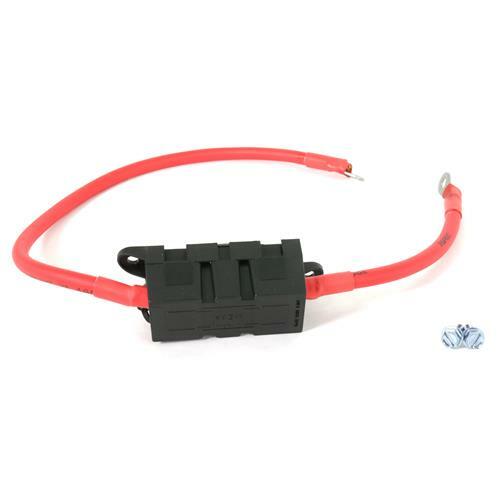 Featuring heavy duty, #4 gauge wire, this power wire can handle any 170 or 200 amp alternator! 30 inches of wire is included, along with a 200 amp fuse, so you can cut to fit your specific application!